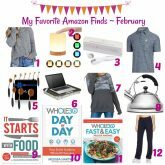 Shopping can be a daunting task, no matter the time of year or person who you’re on the hunt for, so I’m here to make it a little easier on you! 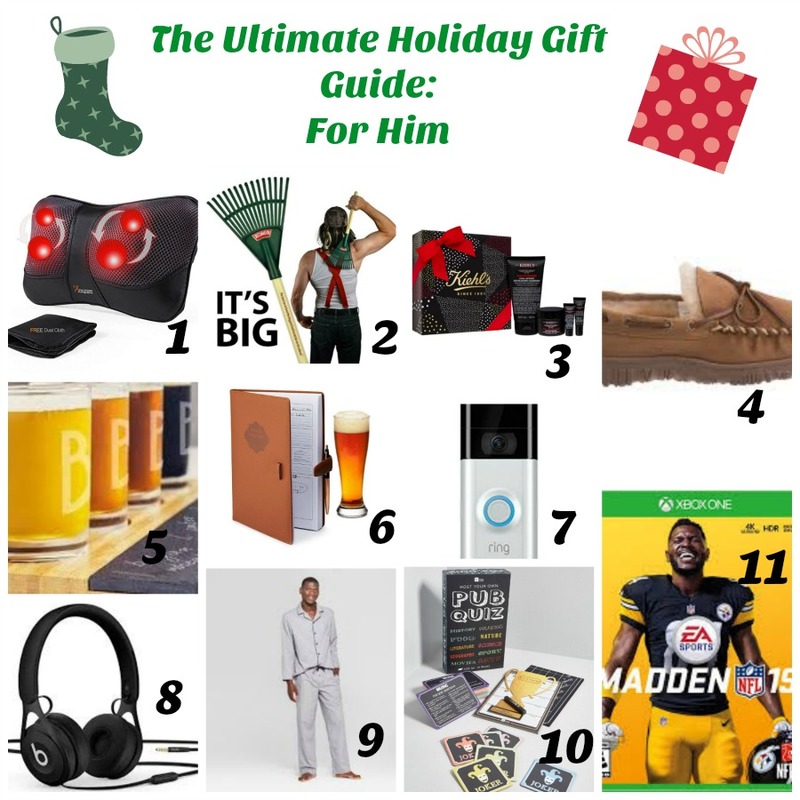 The Ultimate Holiday Gift Guide is perfect for him, her, stocking stuffers, foodie lover, book lover, and more! 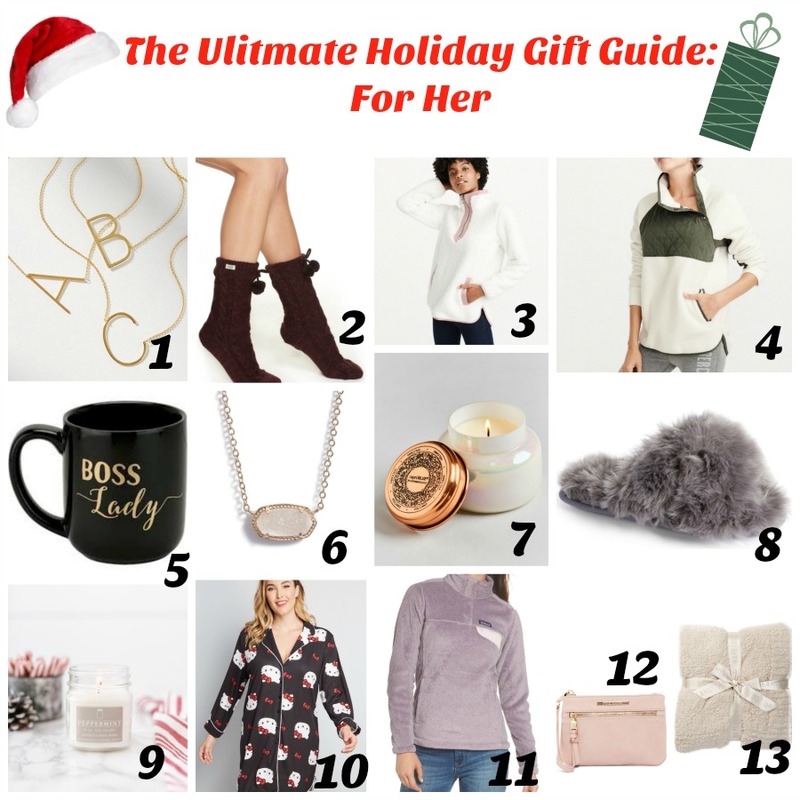 I’m so excited to share with you The Ultimate Holiday Gift Guide for those special people in your life. Shopping can be a daunting task, no matter the time of year or person who you’re on the hunt for, so I’m here to make it a little easier on you! When I polled my readers on Instagram (through Insta-stories), I had a lot of feedback to publish my gift guide before Thanksgiving. So ask, and you shall receive, friends! I also received a lot of comments about what type of gift guide you wanted to see. 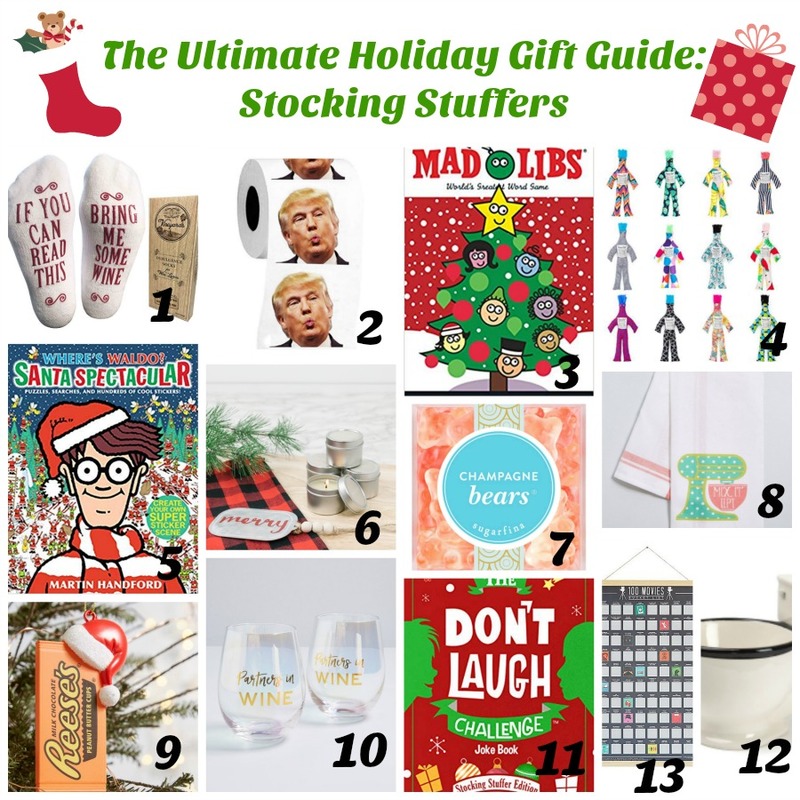 From him, to her, hostess gifts, stocking stuffers, foodies, and more, I’ve got you covered! 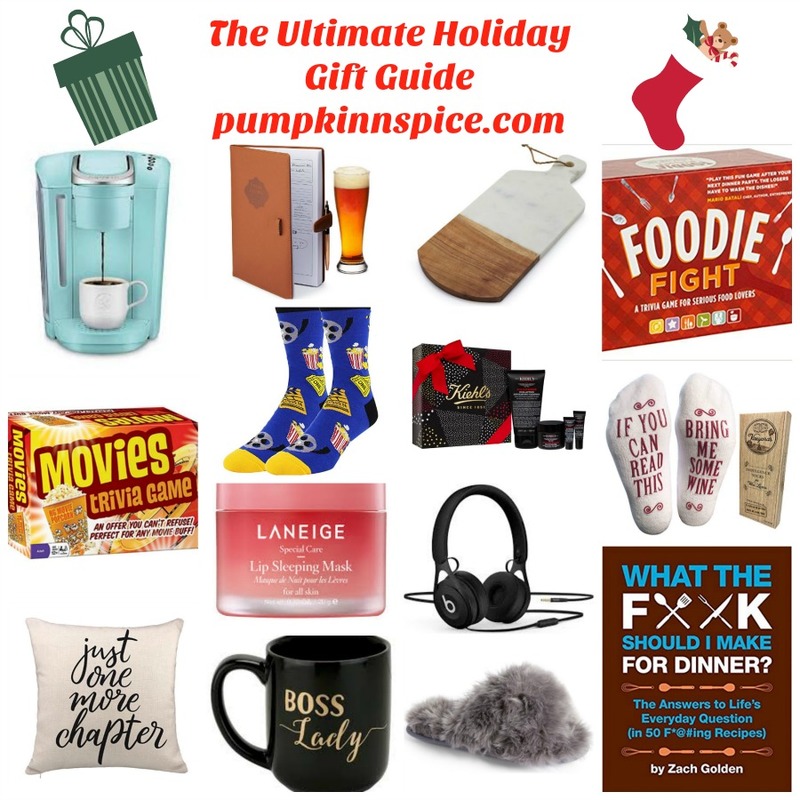 Instead of breaking up the categories into several different posts, I decided to compile all of my gift ideas into the ultimate, epic guide. If you take take advantage of Cyber Monday, or really even any cyber day, as shopping online for great deals is pretty much an everyday occurrence now, be sure to keep this gift guide handy. This list is hand-picked by me and is set to fit any budget, big or small! 1. ‘Bring Me Wine’ Socks: Such a fun gift for the wine lover in your life! 2. Donald Trump Toilet Paper Roll: All in good fun, friends! I just thought this was too funny to pass up! 3. Christmas Fun Mad Libs: If you grew up loving mad libs (me! ), then your special someone will enjoy these, too! 4. Damnit Doll: This looks too fun! Kind of like a voodo doll, but fun and colorful. Perfect for you, your significant other, coworker, or anyone who needs to vent during the day! 5. Where’s Waldo? Santa Spectacular: I loved trying to find Waldo when I was little and this would be perfect for the children in your life! 6. Christmas Sampler Pack of Candles: These 1.5 ounce travel tins would be great for stuffing stockings with! I shared these on my Insta-stories last week and I absolutely love all four scents! 7. Sugarfina Champagne Bears: Grownup gummies infused with champagne? Sign me up! These would make such a fun stocking stuffer for your gal pals! 8. Mix it up Cotton Tea Towel: How cute is this for the baker in your life? 9. Christmas Confection Reese’s Ornament: Calling all Reese’s lovers! This adorable ornament is for you! 10. Partners in Wine Glass Set: I love a good wine glass and this set is perfect for the holidays! Snag a set for your mom, sister, gal pals, or your significant other! 11. The Don’t Laugh Challenge Book: Perfect for kids, these jokes will entertain them for hours! 12. The Original Toilet Coffee Mug: Very silly, but also kinda fun as a stocking stuffer! 13. 100 Movies Scratch Off Poster: Need a little help with some movie inspiration? This scratch off calendar looks perfect for that. I’m grabbing one for the hubster and I, too! 1. Block Letter Monogram Necklace: For the woman who loves showing off your initials! This necklace is adorable! 2. Fleece Lined UGG Socks: A little pricier than regular socks, but, hey, they’re by UGG and look so warm and cozy! 3. Sherpa Half-Zip Pullover: This is my absolute favorite pullover! So cozy, great price point, and a lot of colors to chose from. I have the olive one and am thinking of getting the white/pink one, too! 4. Asymmetrical Snap-up Fleece: I love this one, too! I bought this last winter and it’s back again. Such a cozy fleece for any woman in your life. 5. Boss Lady Mug: I’ve always loved Target mugs and this one is the cutest for that Boss Lady in your life. 6. Kendra Scott – Elisa Pendant Necklace: A glittery stone is at the center of this dainty necklace and you can chose from several colors. 7. Anthropologie Capri Blue Scented Jar Candle: Not only is this candle gorgeous, but it smells so good, too! 8. Cuddle Plush Faux Fur Scuff Slipper: I might just add these to my collection, too. Love the color and absolutely adore the fuzziness! 9. Peppermint Mason Jar Candle: This is another candle from Antique Candle Works. I shared this with you on my Insta-stories last week and am obsessed with the smell! I personally think it’s better than the Bath & Body Works kind…smells like a cross between an Andes mint and those restaurant mints that come in a bowl! 10. Hello Kitty Sweetest Snooze Sleep Shirt: Do you have a Hello Kitty Lover in your life? I do and these would make a perfect Christmas gift! 11. Patagonia Re-Tool Snap-T Fleece Pullover: Another cozy pullover and this one is on my wish list! I love the purple color and am hoping Santa is listening! 12. Steve Madden Wristlet: If you’re looking for a small purse for the holiday, this gorgeous Steve Madden version is under $25 and comes in several different colors. 13. Barefoot Dreams Throw: The coziest throw is 50% off and comes in two neutral colors. How perfect for snuggling around the fire this winter? 1.Lip Sleeping Mask: I’ve had this lip mask for about 8 months and love it! 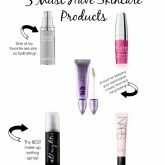 My lips are usually dry year-round, but especially come winter, they need all the help they can get! It comes with a little applicator to apply and has the prettiest pale pink shimmer. It really moisturizes and hydrates your lips so that you wake up with a silky smooth smile. 2. Tarteist PRO Glow Highlight & Contour Palette: I have a similar version from Tarte and I love it! These colors are so pretty, it might just be going on my wishlist, too. 3. Clarisonic Mia Cleansing Facial System: I received this last Christmas and am shocked it took me so long to go without it. It cleans my skin thoroughly, yet gently! 4. All Nighter Long Lasting Makeup Setting Spray: I’ve sharing this spray several times before and I’m hooked! I’ve been using this setting spray for the last 11-12 years and use it every day to set my makeup. It really works and helps my face stay vibrant and in place all day long! 5. Eyeshadow Primer Potion: I’m a huge believer in this primer! Like the setting spray, I’ve used this for the past 10-11 years and always apply before I put on eyeshadow. It makes your lids smooth and crease-free for when your eyeshadow goes on. It also keep it lasting all day, and I’m not joking! 6. Dyson Supersonic Hair Dryer: If it’s by Dyson, it has to be good, right? This one is on my wishlist, too! 7. Beauty Elixir: If you’re into clean skin care, Caudalie is my new favorite brand! This elixir works as a primer to hydrate your face before moisturizing, helps get rid of that cakey look after applying powder and/or foundation, and also works as a setting spray. I love to mist onto my face whenever I need a little refresh. 8. STILA Enchanted Eyes Liquid Eyeshadow Set: Mini bottles that are adorable and give great color, too. 9. Urban Decay Naked Cherry Palette: I love finding new eyeshadows and these shades are gorgeous for the winter! 10. Philosophy Amazing Grace Eau de Toilette: I love Philosophy and this perfume is light, yet feminine. 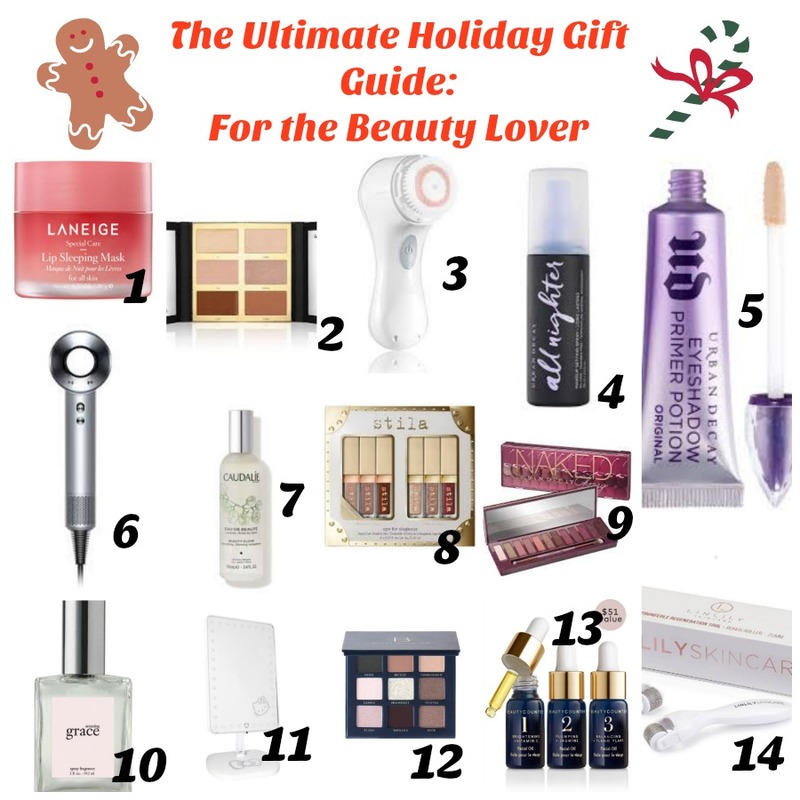 Perfect for the beauty lover in your life! 11. Hello Kitty Touch Pro LED Makeup Mirror: Not only is this mirror etched with Hello Kitty in the corner, but it also comes with an LED light, Bluetooth audio, speakerphone, and USB charger. 12. Velvet Eyeshadow Palette: If you’re into clean beauty products, then this is my absolute favorite palette from Beauty Counter. I wear these colors every day and feel good about putting this onto my skin. 13. Glow & Go Mini Oils: Another favorite of mine from Beauty Counter is their facial oils. And this holiday set includes their best-selling facial oils that is perfect for traveling or on-the-go skincare! 14. Microneedling Derma Roller Kit for Face and Body: I bought this about a month ago and have been hooked! I’ve always wanted to try microneedling, but wasn’t ready to pay the hefty price tag, so this is a great alternative. Less than $25 and is so easy to use. I roll this over my face after cleansing and then immediately apply my serum or moisturizer. The microneedling makes the serum/moisturizer sink in immediately, which has definitely helped improve my skin. 1.Neck Massage Pillow with Heat: Skip the pricey massage and gift this massage pillow. It travels well and would be a great gift for the whole family. 2. Redneck Back Scratcher: Another silly gift for the man in your life. If he always requests back scratches, this is what to get him. 3. Kiehl’s Heavy Lifters Cologne Set: If the man in your life needs a new set, this gift set is it! 4. Shearling Moccasins: If your man is into slippers, these look so cozy and warm! 5. 4pc Monogram Bamboo & Slate Craft Beer Tasting Flight: If the guy in your life loves beer, then he’d love this flight set. You can personalize the glasses, too. 6. Home Brew Journal: Buy this for the home brewer and they’ll have a place to record recipes, notes, and more about their brewing beers. 7. Ring Video Doorbell 2: Lots of people love this and for the price, it’s hard to pass up. 8. Madden NFL 19 – Xbox 1: I don’t know much about Xbox, but this sounds like a winner for the guys. 9. Beats Wired Headphones: Battery-free, stylish design and at a great price! 10. Men’s Woven Pajama Set: This stylish cozy wear looks perfect for just about any guy in your life. 11. Host Your Own Pub Quiz: Gather your friends and play this fun game from the comfort of your own home! 1. 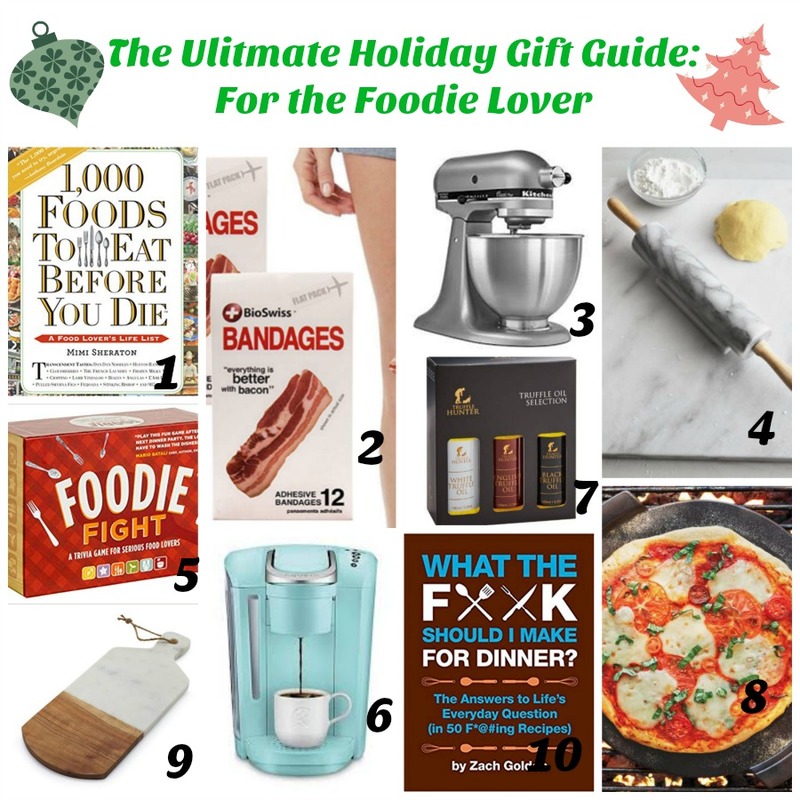 1,000 Foods to Eat Before You Die: A Food Lover’s Life List: Got a foodie lover in your life? Gift them this book and see what they’ve accomplished so far! 2. Bacon Self-Adhesive Bandages: Know someone who loves bacon? These funny, yet adorable, bandaids would make a great gift! 3. KitchenAid Classic 4.5 Qt Stand Mixer: I love my KitchenAid and think anyone who receives this will, too. 4. Marble Pastry Board: I have a similar one and I love it for when I serve appetizers. Would make a good cutting board, too. 5. 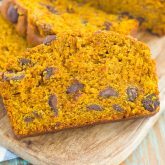 Food Fight: A Trivia Game for Serious Food Lovers: All foodies need this game to show of their skills! 6. Keurig K-Select Single Serve K-Cup Coffee Pod Maker: I couldn’t live without my Keurig and use it every day. I love the fun colors of this model! 7. TruffleHunter Truffle Oil Selection: Gift this truffle oil set for the chef in your life! 8. Ceramic Pizza Stone: Calling all pizza lovers! This would be a great tool to grill those pizzas with! 9. Marble and Acacia Wood Cheese Paddle: How fun would this be to serve your holiday appetizers on? 10. What the F*@#k Should I Make for Dinner? The Answers to Life’s Everyday Questions: If you or someone you know is stumped for dinner ideas, this fun book would hit the spot! 1.Library Card Socks: Ok, how fun are these? 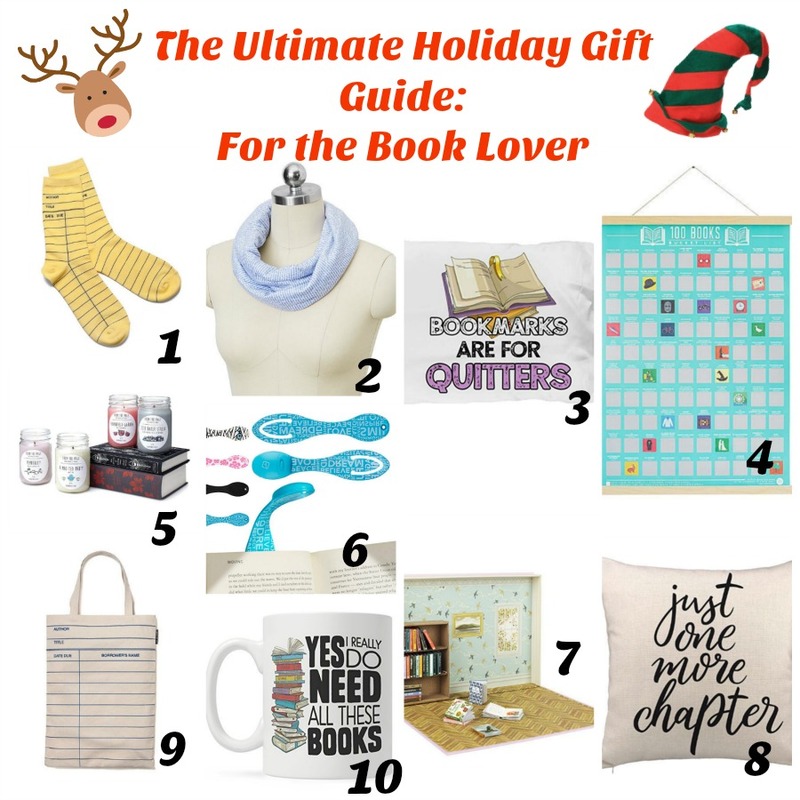 If you have a book lover in your life, these would literally knock their socks off! 2. Book Lovers’ Lightweight Scarf: You can chose from different literary classics (I want the Anne of Green Gables one!) to gift for the holidays. 3. Book Marks are for Quitters Pillowcase: A fun touch to add to the book lover’s bedroom! 4. 100 Books Scratch Off Poster: If you or your book lover are struggling with what to read, this scratch off calendar is just the solution! 5. Literary Candles: How cute would these be as a holiday gift? Made from soy and adorable, too! 6. Book Light for Reading in Bed: This book light features an LED light and clips right onto your book for easy reading. Under $10, too! 7. My Miniature Library: You can create your own mini library, complete with 30 books and a bookcase. So fun and just adorable! 8. Just One More Chapter Throw Pillow: This would be the perfect addition to someone’s living room or cozy reading nook! 9. Library Card Tote Bag: Stock up on a few of these book lovers’ gifts and stuff them into this adorable tote bag! 10. ‘Yes, I do really need all these books’ Mug: Gift your book lover this mug and let them settle in for a hot cup of something and a good read! 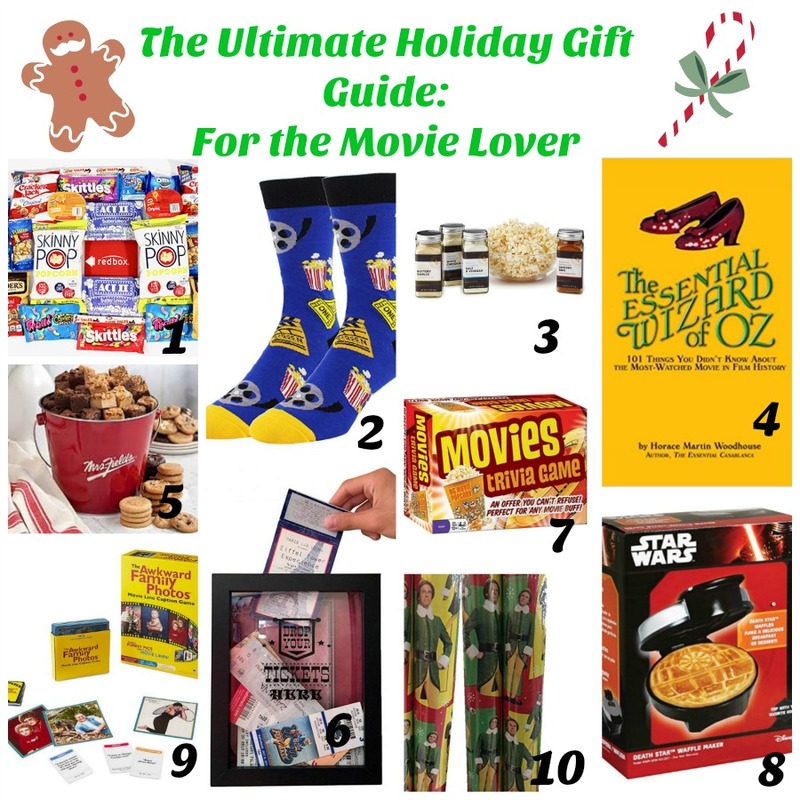 1.Ultimate Movie Night Care Package: Loaded with snacks and a Redbox rental code, the movie lover in your life will adore this fun gift! 2. Movie Reel Socks: Gift your movie lover these fun socks to wear anytime of the year! 3. Popcorn Seasoning Set: Get your popcorn movie ready with these tasty seasonings! 4. The Essentials of Wizard of Oz: 101 Things You Didn’t Know About the Most Watched Movie Film in History: Know someone who adores the Wizard of Oz? See if they know these interesting facts! 5. Mrs. Fields Assorted Brownie Bites & Cocktail Pail: Give your movie buff a 3 pound bucket of sweets to enjoy while watching flicks or playing movie trivia games! 6. 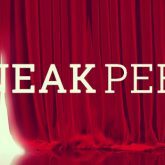 Ticket Shadow Box – Memento Frame: If you know someone who collects all of their movie tickets (me! ), then this shadowbox would be such a thoughtful gift! 7. Movie Trivia Game: Test your knowledge of movies, actors, scenes and more with this game that’s fun for everyone. 8. Star Wars Death Star Waffle Maker: Every Star Wars fan needs a good waffle maker, and this one would make the perfect gift! 9. Awkward Family Photos Movie Caption Game: This game pairs ‘awkward family photos’ with lines from favorite movies. See if your movie buff can beat this! 10. Elf the Movie Christmas Wrapping Paper: If you love the move ‘Elf’ then you (or your movie lover) would adore this fun wrapping paper.